^ "UN again rejects Taiwan allies' letter on UN bid". Taipei Representative Office in the UK. Central News Agency. 2 April 2008. Retrieved 30 July 2011. ^ Durdin, Tillman (30 March 1947). 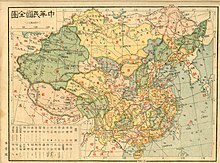 "FORMOSANS' PLEA FOR RED AID SEEN; Harsh Repression of Revolt Is Expected to Increase Efforts to Escape Rule by China". New York Times. Retrieved 6 October 2007. ^ "Formosans Ask Treaty Role". New York Times. 5 October 1947. Retrieved 6 October 2007. ^ Eisenhower, Dwight D. (1963). Mandate for Change 1953-1956. Doubleday & Co., New York. p. 461. OCLC 2551357. Retrieved 7 July 2011. 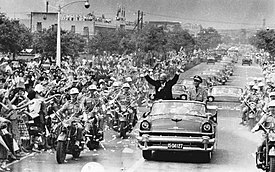 The Japanese peace treaty of 1951 ended Japanese sovereignty over the islands but did not formally cede them to "China," either Communist or Nationalist. ^ "Taiwan loses second ally in a month amid China pressure". Channel NewsAsia. Retrieved 28 December 2018. ^ Chiu, H. (1996). "The International Legal Status of Taiwan". In Henckaerts, J. (ed.). The international status of Taiwan in the new world order: legal and political considerations. Kluwer Law International. pp. 7–8. ISBN 9789041109293. OCLC 38016893. 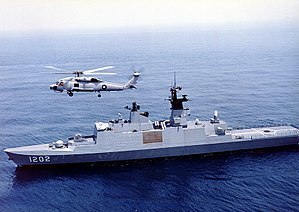 In any case, there appears to be strong legal ground to support the view that since the entry into force of the 1952 ROC-Japan bilateral peace treaty, Taiwan has become the de jure territory of the ROC. This interpretation of the legal status of Taiwan is confirmed by several Japanese court decisions. 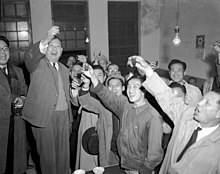 For instance, in the case of Japan v. Lai Chin Jung, decided by the Tokyo High Court on December 24, 1956, it was stated that ‘Formosa and the Pescadores came to belong to the Republic of China, at any rate on August 5, 1952, when the [Peace] Treaty between Japan and the Republic of China came into force…’...the principles of prescription and occupation that may justify the ROC's claim to Taiwan certainly are not applicable to the PRC because the application of these two principles to the Taiwan situation presupposes the validity of the two peace treaties by which Japan renounce its claim to Taiwan and thus makes the island terra nullius.